Why are my chickens on strike? Posted: October 31, 2010 | Author: Scott James | Filed under: 3. Food Security | Tags: chickens moulting, chickens not laying, nest under blackberries |Comments Off on Why are my chickens on strike? This had us puzzled until we realized it was October and they were beginning their molt. But our egg production was off more than our neighbors. We went from 9 a day to 1. 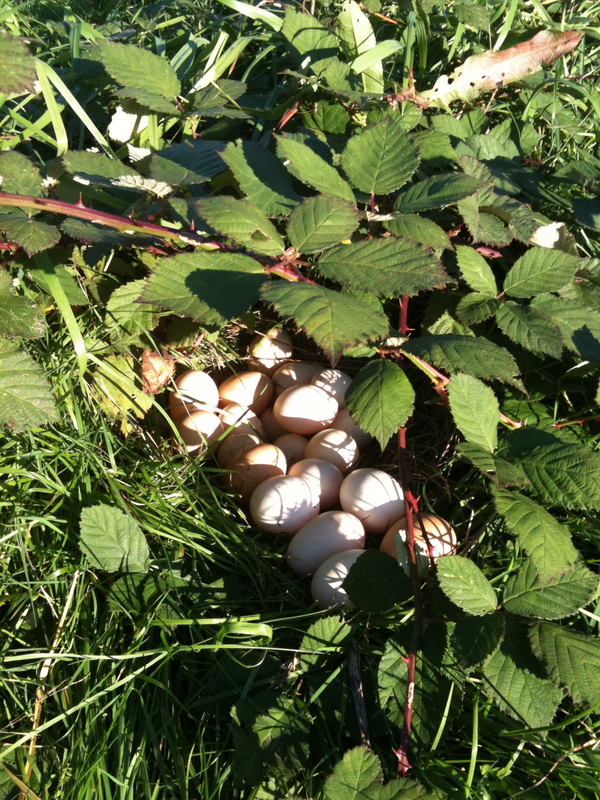 Three weeks later I found a clutch of eggs in their own homegrown nest under some blackberries in the pasture. It had 21 eggs in it!